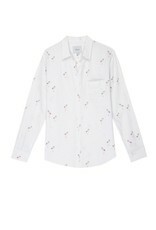 Long sleeve, button-down top with fun retro flamingo print, high-low shirttail hem, and single chest pocket. 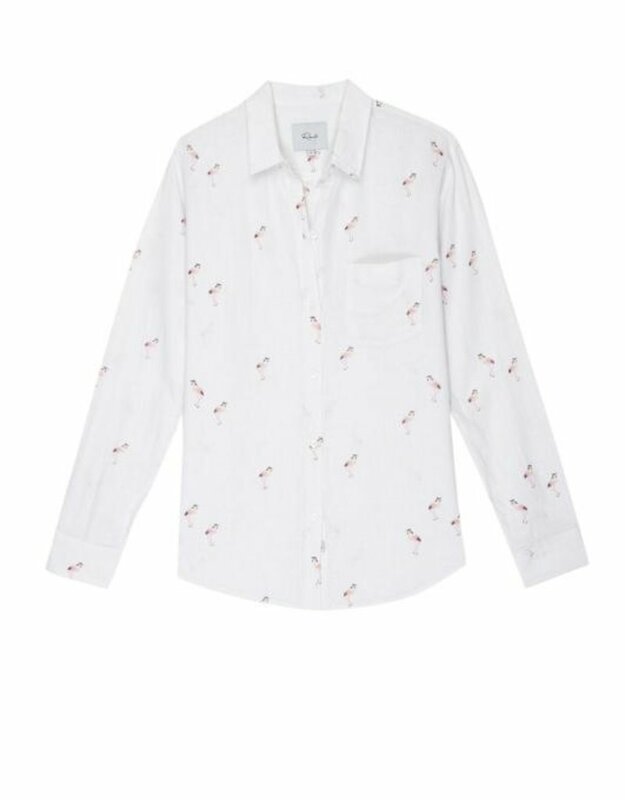 Lightweight, breezy linen fabric mixed with a relaxed body shape makes the Charli the perfect Southern California inspired button-down. Fabric: 55% Linen | 45% Rayon. Hand Wash Cold. Hang Dry. No Bleach. Recommend ordering true to size. Body length: 27 1/4" (Measured from Small). Model's Measurements: Height 5’7", Bust 32", Waist 24", Hips 34"